What are the Best Yarns for Crochet? With so many beautiful yarns to choose from, selecting the right one can be overwhelming. 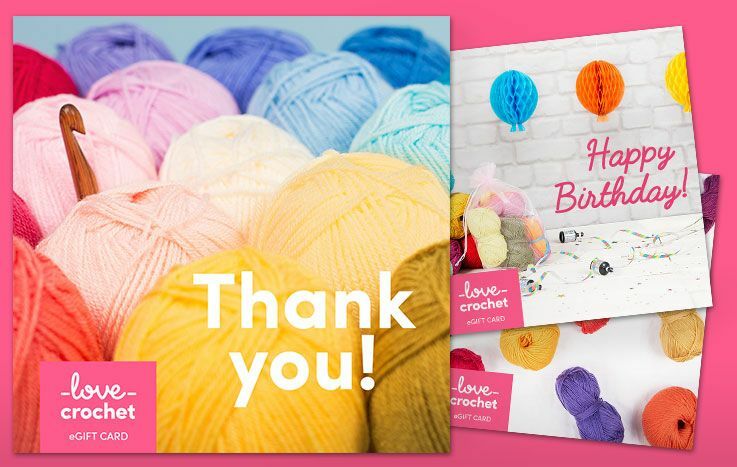 If you're looking for advice from our LoveCrochet experts and some top designers to get you started, you're in the right place. Crochet is an incredibly accessible craft. All you need to get started is a hook, a ball of yarn, and a few simple instructions. Once you’ve gained some experience, you’ll be able to create beautiful homeware, gorgeous garments and accessories. As the huge range of yarns available provide the crocheter with almost limitless choices, it’s easy to see why this has become such a popular craft. Falling in love with a beautiful yarn is easy, but there are a few things to consider before buying lots of expensive yarn, especially if you don't have a pattern to follow. You’ll need to select the right material depending on the demands of the project. For example, a mohair yarn isn’t a good choice for patterns designed to showcase textural stitches or cables because the fluffy quality of the mohair, or “halo” as it is known, will disguise all the carefully crafted detail. Most crocheters work from commercial patterns which specify branded yarns. The patterns are designed to showcase and make the most of the qualities of the specific yarn. As you gain experience, you will be able to experiment with different yarns. But when starting out, it’s wise to follow the yarn recommendation. Sometimes you might have to choose an alternative yarn. Particular yarn lines may be discontinued, or you may not like the available colors. A professional yarn stockist can advise you on substitutes, but if you don’t have access to professional advice a simple rule is to select a yarn that is similar in fiber, weight, and feel. Yarn is produced from all kinds of materials. Wool from sheep is the most familiar and versatile fiber, and different types of sheep produce wools with different characteristics. Many natural fibers are also sourced from plants: cotton and linen are the most common, but there’s also bamboo, and viscose, which is made from wood pulp. There are several synthetic fibers too, such as acrylic, polyester, and elastane. New and exciting yarns are being developed all the time, even from the most unlikely of sources, such as seaweed extract. Mixed-fiber yarns allow yarn manufacturers to combine several characteristics into one product. For instance, sock yarn uses wool for warmth and breathability but is often combined with nylon to increase the durability and elasticity of the yarn. Merino: Originally the merino sheep came from Spain, but merino wool is now mainly produced in Australia and New Zealand. It has an exceptionally soft, smooth feel against the skin, making it ideal for affordable but luxurious garments. It is not quite as hard-wearing as other wools, and has a slight tendency to 'pill'. Blue-Faced Leicester: This unique British wool is fine, dense, and lustrous. It is an exceptionally smooth wool, and produces a fabric with wonderful drape and a satiny finish. Peruvian Highland: Valued primarily for durability, and for the way it takes dye, Peruvian Highland wool is not quite as soft as merino. It is fabulous for producing items that won't be worn directly against the skin, outer garments or accessories such as bags and it is brilliant for felting projects. Related to the llama and the camel, the alpaca gives us some of the smoothest and softest animal fibers. Unlike sheep’s wool, alpaca wool does not contain lanolin, and is therefore hypoallergenic, making it ideal for those with sensitive or delicate skin. Produced from the coat of Angora goats, luxurious mohair has a unique halo characteristic. The fine, glossy fibers take dye well, resulting in both vivid solid colors and subtly blended ombré shades. Though less well known, yak is as soft and warm as cashmere. Soft, velvety and wonderfully warm to wear, yak is often mixed with other fibers to create sought-after and highly wearable garments and accessories. Unrivalled for its sheen, drape, and quality, silk is the ultimate luxury fiber, producing one of the most desirable of yarn and textiles. Alongside excellent aesthetic qualities, silk is warm in winter and cool in summer. It is also surprisingly hard-wearing. Made from the fluff inside the seed heads of the cotton plant, this soft fiber is produced all over the world. Light, strong, and non-stretch, it is often mercerized to give it a smooth, lustrous surface. Cotton is ideal for making cool-feeling summer garments and accessories. Made from the flax plant, linen has a naturally cool and crisp feel. It is strong and durable and, though it can feel stiff at first, repeated washing will soften the fibers. It is often found mixed with cotton or man-made fibers to create a light, versatile, and resilient yarn. Bamboo fiber is surprisingly soft, making it ideal for babywear, as well as for allergy-prone, sensitive, or delicate skin. It is easy to care for, light, and has natural antibacterial properties. Very similar to linen in texture and performance, hemp is growing in popularity as a craft fiber. It takes dye exceptionally well, and is very versatile, suitable for a large number of craft and crochet purposes. This unusual source of fiber is rolled, twisted, and folded, to produce different types of yarn. It is ideal for making robust home accessories such as storage baskets, floor rugs or table mats. First manufactured in the 1940s, acrylic yarn has become one of the most widely used synthetic fibers. Processed into filaments, it is then cut into short lengths and spun to create strong, resilient yarns. It is often created to mimic wool or other natural fibers. Acrylic is hard-wearing, economical, and very easy to care for. Mainly used to add elasticity and resilience, nylon is often blended with other fibers. It is especially useful in the production of everyday items that will be subject to repeated stretching, such as hats, socks, and gloves. Known for its wrinkle- and stain-resistant properties, polyester adds stability and structure when blended with animal and plant fibers. It is often used in fashion and novelty yarns. The term “fashion yarn” covers a whole host of innovative yarns that don’t fall into the more common categories. Materials such as sari silk, metallic threads, and faux fur have all been adapted to create inspiring and creative materials. These yarns are ideal for adding an extra flourish of texture, sparkle or color to garments. They can also be used to make fun accessories such as home textiles. Even the softest natural yarn can feel uncomfortable to allergy-prone and sensitive skin. This is due to the many tiny overlapping scales that make up animal hair. Many people are also allergic to the lanolin found in sheep’s wool. Llama, alpaca, and camel fibers can be a better choice as they are lanolin-free. Plant fibers, like cotton and bamboo, are usually smoother and therefore less reactive for sensitive skin. What yarn is best for crocheting blankets? Blankets are extremely popular crochet projects, and for good reason! They're long term crochet projects that will be appreciated and will hopefully become heirlooms, passed down through the generations. Baby blankets are a great place to start, as they're a quicker project that a full size blanket, and the soft yarns made especially for babies is lovely to crochet with. 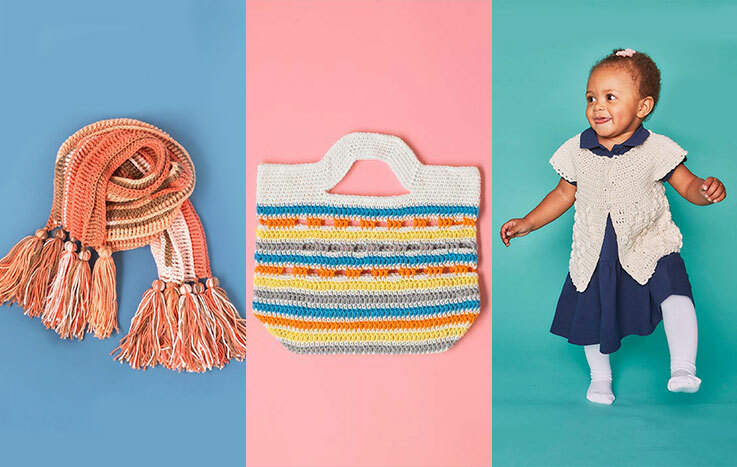 Some of our favourite baby blanket crochet yarns are: Paintbox Yarns Baby DK, Lion Brand Baby Soft Prints, Bernat Baby Blanket Big Ball, and Debbie Bliss Baby Cashmerino. For regular size blankets, you don't need to worry about baby's soft skin, so we recommend something soft and warm for adults like a merino wool, or Lion Brand Wool Easy Chunky for a fast blanket! We love the use of chunky and super chunky yarns - what does designer Two of Wands have to say about those big hook yarns? The weight of a yarn refers to the diameter of the thread. The weight will affect what the yarn is used for and how it will behave when worked, as well as which size hook should be used. Crochet patterns will always suggest a hook size depending on the effect the designer has in mind. 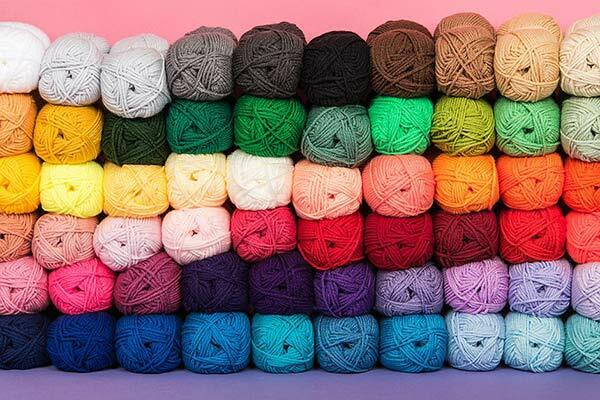 There are eight categories of yarn weights, but each category can have several different names which can make it difficult to match or substitute yarn recommendations. This conversion table gives an overall guide to yarn weights and hook sizes. *Lace weight thread or yarn is often worked on larger hook sizes, to create very light and open lacework. It is therefore very hard to determine a standard gauge. Always refer to your pattern first. Ply refers to a single strand of yarn or thread. Yarns with two strands twisted, or plied together, are often referred to as two-ply. Sometimes the number of plies is used to refer to the weight of the yarn, though this can be misleading. Many modern bulky yarns are single-ply yarns, made of one very large strand, but ‘single’ can also mean a single, finely spun thread. A simple rule is that the weight of a yarn is dependent on the diameter of the strand or strands that make up the yarn, and not the number of plies. How much yarn is in each ball or skein: This will be provided as weight in grams or ounces and sometimes (but not always) as length in yards or meters. Fiber content: What kind of fiber the yarn is made of, or the percentage of each different fiber in a mixed blend. The dye lot number: Commercial yarn is dyed in lots, and each lot is given a number. There can be tiny variations between each lot - so if you are crocheting a garment or homeware project, make sure you buy enough yarn from the same lot to avoid slight color differences between skeins or balls. Hook size: The label will recommend a hook size to achieve the recommended tension shown on the ball band. 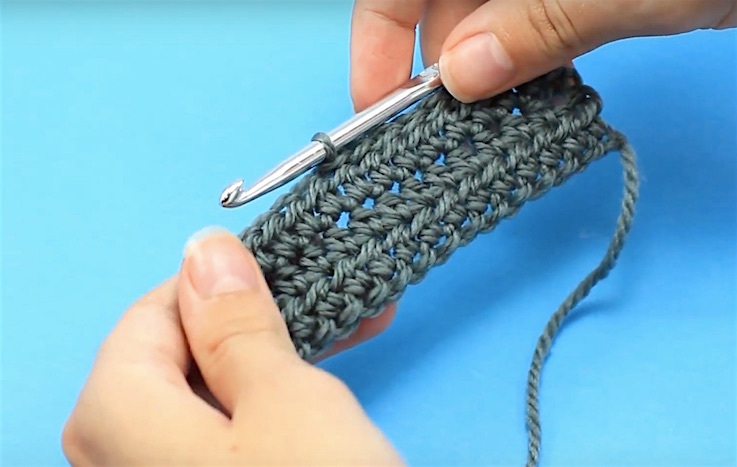 It is important to understand that this is just a guide, and you may need to use a different hook size depending whether you crochet tightly or loosely. Tension or gauge as well as hook or needle size: This may not be the same as the tension or hook required by your pattern, so it should be used for guidance only. If the ball of yarn does not supply specific advice for crochet, just stick to the instructions in your pattern. Crocheting something you love takes time and effort! The wrong color choice could mean a lovingly crafted cashmere scarf never gets worn, so, if you’re working on a project for yourself, choose colors you know you like to wear or enjoy having around your home. If you’re making a gift for someone, make sure you choose a color they will love! Yarn is dyed in individual batches or lots, and each lot is assigned a specific number. The dying process is subject to many variables and each lot will be unique. Numbering the lots enables both wholesale and retail customers to purchase perfect color matches from the same lot. Handmade and artisan yarns are often hand dyed, before or after spinning. Yarn can also be hand painted, becoming a miniature work of art, ideal for adding a special touch to small projects or gift items. Space dying, also called dip dying, is a simple technique for adding wide bands of color to a hank or skein of yarn. Two or more colors will be applied to create a repeating pattern that will work up into stripes or other simple designs. These kinds of yarn are all variations on space dying and are sometimes designed to work with specific patterns using a particular set of dimensions. Ombré print yarns tend to be more versatile, having longer color repeats which results in gentle changes of shade and tone, and can be used confidently across a variety of different projects. HOT TIP:Self-patterned, space-dyed, and hand-dyed yarn can be particularly prone to 'pooling,' where the color changes result in uneven patches of color. This can be avoided by using two skeins of the same yarn and alternating every two or three rows. However, some designers rely on the pooling process to create the desired effects in their patterns. Yarn packaging can vary and it’s worth understanding how to handle each one. Skeins and hanks: A skein, sometimes referred to as a hank, is a long loop of yarn, twisted on itself to form a secure bundle. This style of packaging makes the yarn easy to store, transport, and handle. Artisan yarns are often packaged this way. Yarn purchased in this form will always need to be wound into a ball before use. Another type of skein is the familiar oblong shape, more generally known in the UK as a ball. Ball: It is less common to see yarn sold packaged as perfectly spherical balls - they are often flat or doughnut shape. In this form, they are ready to use immediately. From left to right, a hank, a skein, and a ball. Commercial patterns tell you how much yarn to purchase for a project. This will be stated as a specific number of balls, skeins, or hanks of the specified yarn for the pattern, and also as a particular number of yards or meters in case you want to substitute the yarn. Handcrafted items tend to need a little more care than commercially produced textiles, as they can be more susceptible to stretching, shrinking, or distortion. This will depend on the fiber, construction, and washing methods used. With care, most things can be hand- or machine-washed, though some yarns will specify dry clean only. Always retain a ball band from each project and, if you give hand-crocheted gifts, be sure to advise the recipient on how to care for the item. If you are not sure how to wash an item, try to wash a small section to see how it is likely to react. Most crocheters get into the habit of making a test swatch which they then wash and dry, so they know exactly how their finished project will respond. 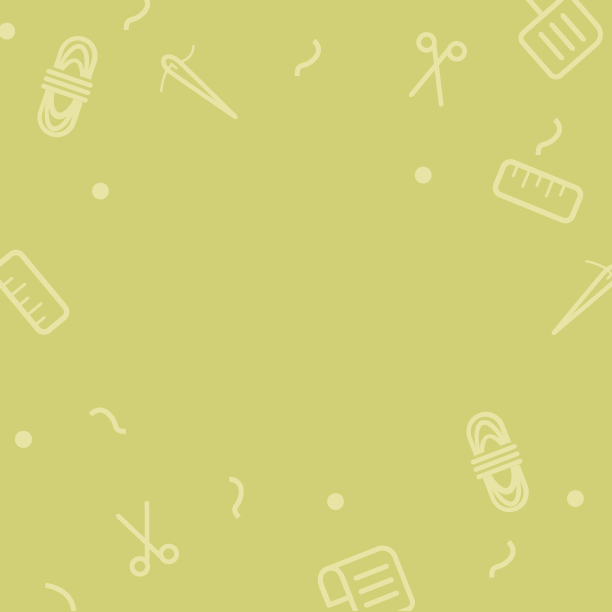 Though time-consuming, making a swatch can save a lot of trouble later on. The washtub symbol indicates if your garment is suitable for washing. The recommended washing temperature is shown by the number inside the washtub. The amount of agitation is specified by bars underneath. A washtub with no bar will use the maximum action with a normal spin. The number in the tub is the maximum temperature, for example 105F. A washtub with a single bar (one bar) indicates a mild washing process. The machine will wash with a medium machine action and mild spin. The number in the tub is the maximum temperature, for example 105F. A washtub with double bars (two bars) indicates a very mild washing process and spin. The number in the tub is the maximum temperature, for example 105F. Hand-wash only as your clothes are too delicate to machine wash. The temperature is to be a maximum of 105F. A box with a circle inside represents tumble-drying. Tumble dry possible at normal temperature. Tumble dry possible at low heat. Hot iron. Maximum temperature 390F. Warm iron. Maximum temperature 300F. Cool iron. Maximum temperature 230°F. The garment may be professionally dry cleaned. The P represents perchloroethylene solvent. The garment may be professionally dry cleaned. The P represents perchloroethylene solvent. The single bar indicates a milder process. The garment may be professionally dry-cleaned. The F represents hydrocarbon solvents, which are part of a more environmentally-friendly and mild process. The garment may be professionally dry-cleaned. The F represents hydrocarbon solvents, which are part of a more environmentally-friendly and mild process. The single bar indicates a milder process.